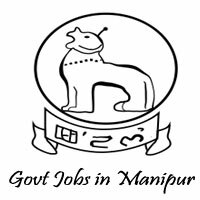 MSRLM Jobs Recruitment Notification 2018.Manipur State Rural Livelihood Mission (MSRLM) inviting applications for the positions of State Mission Management Unit, District Mission Management unit and block mission management units as Block Mission manager, cluster coordinator, data entry operator, block mission accountant etc posts.Interested and Eligible candidates can apply for the positions. Number of vacancies to be filled in Manipur State Rural Livelihood Mission is 147. Maximum age for chief operating officer is 51 years, state mission manager is 45 years, district mission manager is 43 years, block mission manager is 40 years and for remaining posts the maximum age is 37 years. Graduation/ post graduation degree holders in relevant discipline from a recognized university can apply. Through written exam followed by group discussion and personality test contenders will be recruited. Candidates may forward the softcopy of application form to msrlm.recruitmrnt18@gmail.com by 25th September 2018.